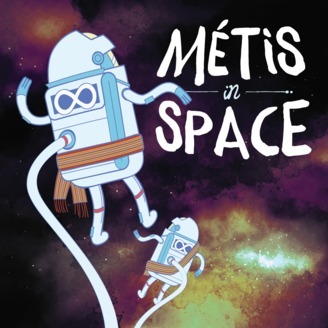 What happens when two Métis women, who happen to be sci-fi nerds, drink wine and deconstruct the science fiction genre from a decolonial lens? Molly Swain and Chelsea Vowel break down tropes, themes and the hidden meanings behind the whitest genre of film and television we've ever known. 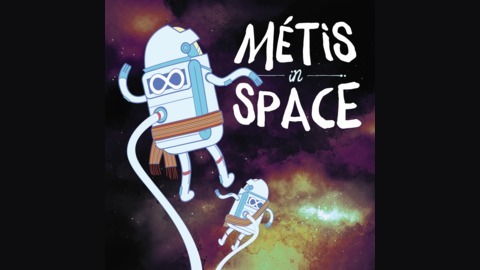 Métis in Space S5 E2 Cleverman "First Contact"
In Season 5, Episode 2 of otipêyimisiw-iswêwak kihci-kîsikohk, Métis in Space is joined by poet, author, and badass, Gwen "Trap Queen" Benaway. We review the first episode of the Australian series, Cleverman, "First Contact", wherein "a series of unexplained, violent attacks in the city are blamed on the newly discovered "Hairypeople" who have been living among the rest of society." Join us for pointed discussions of restorative justice, yeast infection treatments, and Tindr profiles based off wine descriptions. Our apologies that you weren't able to join us for post-show karaoke. Métis in Space (S.4 E. 10) Westworld "Kiksuya"
Métis in Space (S.4 E. 9) Indians and Aliens "Episode 1"